If you want to promote your digital book, report or booklet, it is very important to make it look tangible to attract the attention of your target audience. The good news is that you don’t need to hire an expensive designer to create your book cover mockup. 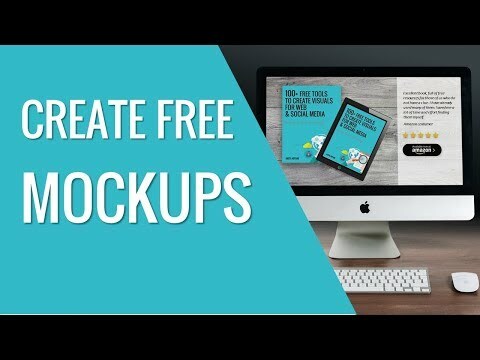 If you have created your book cover design, (you can easily do it with PowerPoint), then all you need to do is to convert it into a beautiful mockup by using one of these FREE tools. A cool tool that generates rather good quality book cover mockups is Absolute Covers. Simply upload your images and get the mockup. Click the right button of your mouse to save it to your computer as a png file. It’s free. You will get a result like this. Looks rather professional. Doesn’t it? A useful tool is also MyCoverMaker, which will create a good quality book and notebook mockups. The advantage of this tool is the possibility to create book cover mockups for a paperback stack, like in my example, binder, DVD stack and other interesting formats. You will need to sign in to get access to the free templates. If you need to create your book or DVD cover mockup, or even put your image on a notepad screen, you might want to try Adazing. This is the result you might expect. For an additional small fee, you will get also other mockups and visuals with your book cover. 4. One of my favorite tools is MagicMockups. It doesn’t provide the possibility to create a book cover mockup, but you can visualize how your web page, online course or even Kindle book would look like on a desktop, laptop or a notepad screen. 5. A cool tool for generating mockups is Placeit. It offers more than 2800 templates to choose from. You can generate a mockup of your book, web page, online course, logo, t-shirt or even a hat. Actually, there are much more categories. Simply check them out. Watch this YouTube video to see how it works in practice. Of course, not all of the templates are for free; however, you can find useful resources also for zero cost. Just sign up and log in. Sure, free services won’t give you a large, high-resolution file. However, the quality will be good enough for your website and social networks. 6. One more option that takes a little bit more effort is to create your book cover mockup yourself with online editing tool Pixlr. First, find a good-looking book image on Google. Like this one. You can download it here. Then open this image in Pixlr. And open your book cover image as a layer. Go to Edit –> Free Transform and resize it. Hold the shift button to get a proportional resize without distorting. When finished, go to Free Distort to align your book’s corners. Press Enter, when you are satisfied with the result. Watch a video tutorial here. 7. If you want to show your eBook or a screenshot of your online course on the screen of a notepad, use PowerPoint. You can easily create a mockup like this without using any additional tools. All you need is a picture with a frontal view of a laptop or notepad (download my samples here). Then open this picture in any image editing tool or software, or even in MS Word or MS PowerPoint. 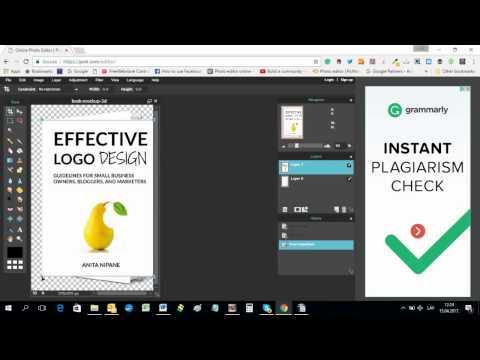 Insert image of your book cover or online course screenshot and place it on the screen area and adjust its size. When finished, save it as a png file with the right click of your mouse. Sounds too complicated? Click HERE to get access to 9 pre-designed PowerPoint templates that you can customize for creating mockups and promo visuals for your own books. In conclusion, remember that it is important to create a good quality book cover before you start working on its mockup. Because having a poor one might reduce your book’s success. Therefore, consider your book’s content and target audience when you are designing its cover. It must attract their attention either in printed or digital format if you are selling it as an eBook. Get a free eBook with 26 Tips for Creating a Professionally Looking Fiction and Non-Fiction Book Cover Designs. You are welcome! I’m glad it’s helpful. Yes, it’s more precise. Thank you! I updated the link.